Bronze AE3, 22mm, 4.86gm, issued AD 350/351. Treveri mint. Obv: DN MAGNENTIVS PF AVG, Bare-headed, draped and cuirassed bust facing right, A behind. Rev: GLORIA ROMANORVM (TRS in ex. 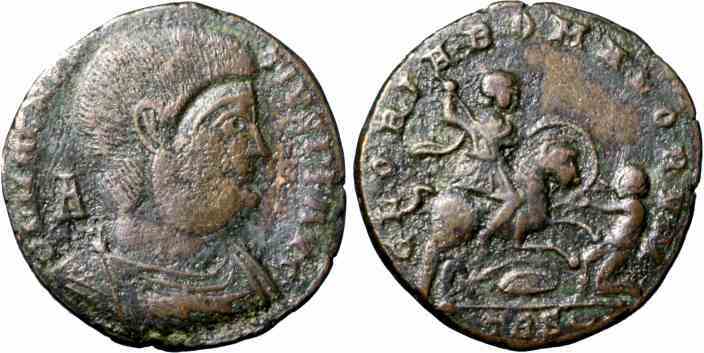 ), Emperor on horseback spearing kneeling barbarian. References: Sear 18798, RIC 271.